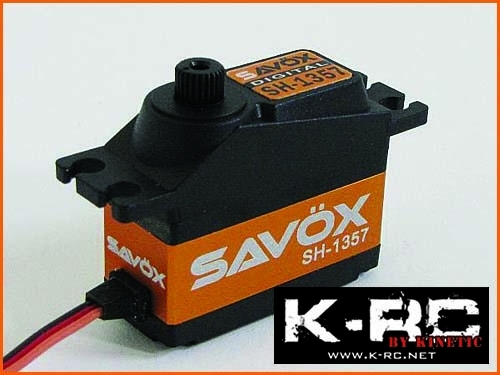 This is the Savox SH-1357 Super Speed Mini Digital Servo. The coreless motor brings output performance to new levels and ensures smoother, faster, and more efficient operation. The metal case design not only looks awesome but also allows for cooler and smoother operating temps. Ideal as a rudder servo on 450 class helis, CCPM servo on 500 class helis, and steering for 1/12th scale surface vehicles.